Beyond Prenatals: Healthy Food that Comes in a Package! Healthy Food that Comes in a Package! 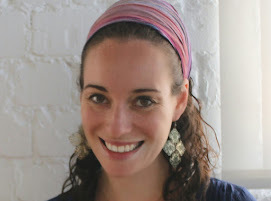 My friend Alexandra from NYC gave an awesome kids class last year for Purim (a Jewish holiday that among other things, entails giving fun food presents to friends called Mishloach Manot). I cannot share her secret recipe for Hamantashen (triangle-shaped cookies) but if you are lucky to taste one they will not disappoint! And they even have omega-3's from chia seeds! Ale once told me in a very animated fashion, that while she prepares healthy snacks for her kids, her daughter loves snacks that "pop" open from a bag...like all the other kids. So I have put together some foods that go "POP." Perfect for your Mishloach Manot Purim treats and year round.